Andy is a long-time resident of Prince George and loves it. Andy loves skiing, hiking, canoeing and even sneaks in a little fishing. You can’t get a better place to live than Prince George when it comes to the outdoors. Andy has a working knowledge of French which he has managed to hang on to from being raised in Quebec which comes in handy in real estate for those coming in from back east. Andy has been in Real Estate since 1992 and still enjoys it immensely. He has extensive knowledge of Prince George real estate, the backroads and even the odd fishing hole. He really enjoys people and life, and never takes either one lightly. 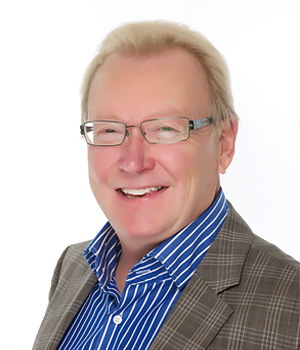 As you have probably been told many times, Andy Wilhelmsson is an excellent Realtor®. He is very knowledgeable, easy to talk to and was a tremendous help in his advice. Also, he recommended a Realtor in Nanaimo that was also excellent. We appreciate Andy's knowledge and enthusiasm, but most of all his genuine personality. It is clear that he has his clients interests in mind above his own personal financial gain. We would recommend Andy to anybody buying or selling property in Prince George. I referred Andy to my sister who moved to Prince George. He exceeded both mine and my sister's expectations! He looked after my sister and her husband better than I could have imagined. I will ALWAYS refer any clients (including family) I have who are moving to the area. He's down to earth , reliable and a testament to the profession...Oh, and he's a great guy too! Thank you Andy for everything! Andy Wilhelmsen is the best Realtor® I've ever worked with. Between my girlfriend and I, we've used him 7 times and would never consider using anyone else in the future.